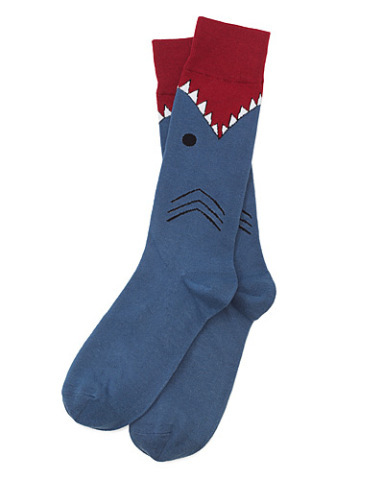 You've Heard Of A Shark Suit, How About Shark Socks? If you think fashion bites, then bite back. This shark attack is made of a cotton-polyester-spandex blend and fits mens sizes 6.5 to 12 and women 10 and above. Machine washable. A bargain under $10. For more information or to order, click here.